Wow this is stunning and dramatic in B and W.
Great photo. I like the contrast of textures. This is so beautiful Carver. Very creative shot in BW ~ nature's beauty! Gorgeous sky highlighting the intricate details of the tree. beautiful photo. Beautiful! 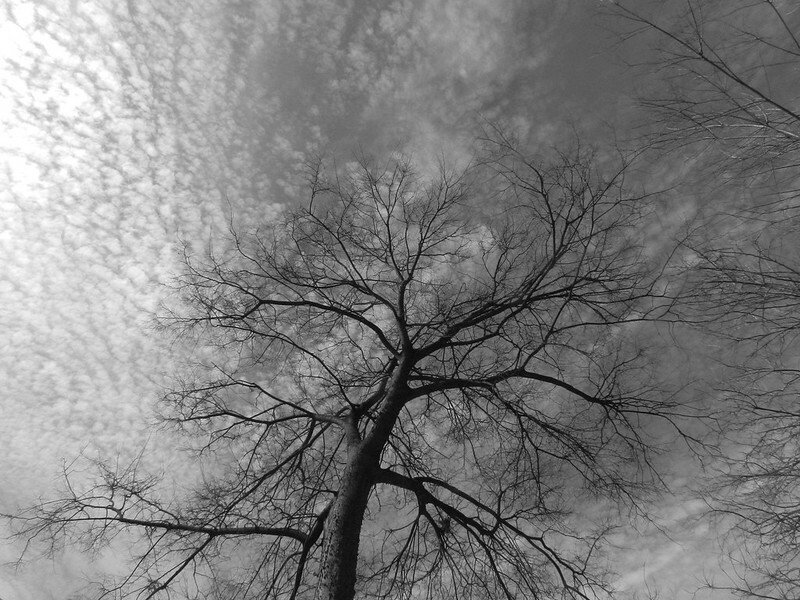 The tree has such lovely lines, and that sky is stunning. I'm with D'star - a lovely shot. Gorgeous picture. Wonderful patterns in the sky and the tree branches. This is an absolutely perfect picture. Love the contrast of the bare branches against the sky.